When our C-Lium Lose More, Live More blogger's challenge ended, I promised myself that I will still go on and continue what I started. I'm still taking C-Lium Fibre everyday before breakfast but my exercise routine suffered because I am mostly out of the house these days. I'm not losing a pound a week as I used to. In two months, I only lost three pounds. 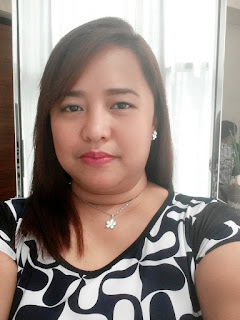 A far cry from the 6 pounds I lost during the month-long challenge, waaah! 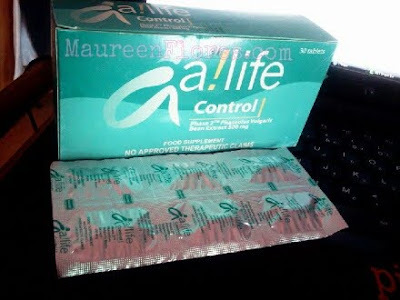 Thankfully, Pascual Laboratories, distributors of C-Lium Fibre, was generous enough to give a box of A!Life Control to supplement my weight loss program. A!Life Control has 500mg Phase 2™ Phaseolus Vulgaris Bean extract that blocks carbohydrates from food. It is advised to take 1 capsule of A!Life Control 5 to 10 minutes before a meal. However, you cannot take more than 6 capsules a day. It is also not recommended for pregnant and breastfeeding moms. So mommies who can't easily remove their wedding bands from their chubby fingers (like mine, LOL! ), here's another weight loss partner for you!